Why, hello there, parents of a young athlete! So your tender pumpkin was special enough to make the travel team for football/basketball/hockey/lacrosse/softball/volleyball/[insert other sport here]. You’ve got an exciting ride ahead of you. That’s because if your tender pumpkin was awesome enough to make the ’08 Screamin’ Eagles AAA U10 team, then your tender pumpkin is definitely headed to a career as a professional athlete. Before you lose your sanity in the next two to ten years, let me clue you in to what you are about to see. There are several types of players on these travel or select teams. Your tender pumpkin is going to be one kind, surrounded by the other kinds. It’s best to be educated. Being the Head Coach’s kid is a no-win situation on the travel team. If she’s talented, other parents are jealous and will find fault with her. But if she’s not the best kid on the team, parents will scoff that she is only on the team because her dad is the head coach. If she’s a jerk, then she fulfills every stereotype of the coach’s kid. This is the sweet spot. If you haven’t signed up as an assistant coach, do it now. 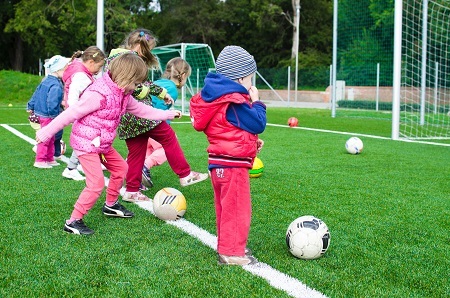 The kids of assistant coaches get to play more because their mom or dad is helping out and usually says “yes” to the head coach about everything. As well, it’s great to be an assistant coach because other parents are busy directing their ire toward the head coach, not the assistant coaches. This is usually the kid of an nonathletic parent who couldn’t be an assistant coach, but wanted all the perks anyway. Good move, Manager. The head coach knows she needs you and your hours of organization and countless emails, so your kid will be taken care of. Doesn’t matter who this kid is related to, the natural athlete will always play. Fingers crossed this kid is not an egomaniac or it makes for a long season. Somebody has to sit on the bench or be the backup or take less shifts. Just because your tender pumpkin made the travel team doesn’t mean he is the star anymore. But if it comes down to a kid who is not the child of an assistant coach and one who is, the former is sitting on the bench more. Just accept it. If it really bothers you, try and finagle an assistant coaching spot for next season. Some kids are great, others are big fat jerks. There will always be one jerk on your team. Usually the apple doesn’t fall far from the tree, so to speak, so watch out for The Jerk’s parents. There will always be one goof off on your team. Goof offs usually hang out with the jerks, have a good time, and distract. But, if a goof off has talent, all is forgiven. Let me also give some more advice to you, parents. Travel sports is full of inherent drama. Proceed with caution, but soak up all the good things, especially if 1) your kid loves playing and 2) you love watching your kid play something he loves. That’s what makes it worth it. And don’t get me started on travel team PARENTS. That’s a whole ‘nother blog post — and counseling session! What are your travel sports stories, readers? Do they even call it travel sports where you live or is it select or all-star or what not? We call it something like the select team or the gold team here in Canada’s Vancouver. And yes to all of your observations. All of them. Sadly, i am reminded of the tragic crash in Saskatchewan this past week in which 15 hockey teammates and the driver were kilted while traveling to a playoff game. Ugh. Thankfully this almost never, ever happens. Stay safe, everyone. Good call, Eric, on the must-win and Ego kids. Those are def. around and you’re right–most likely just emulating parents! 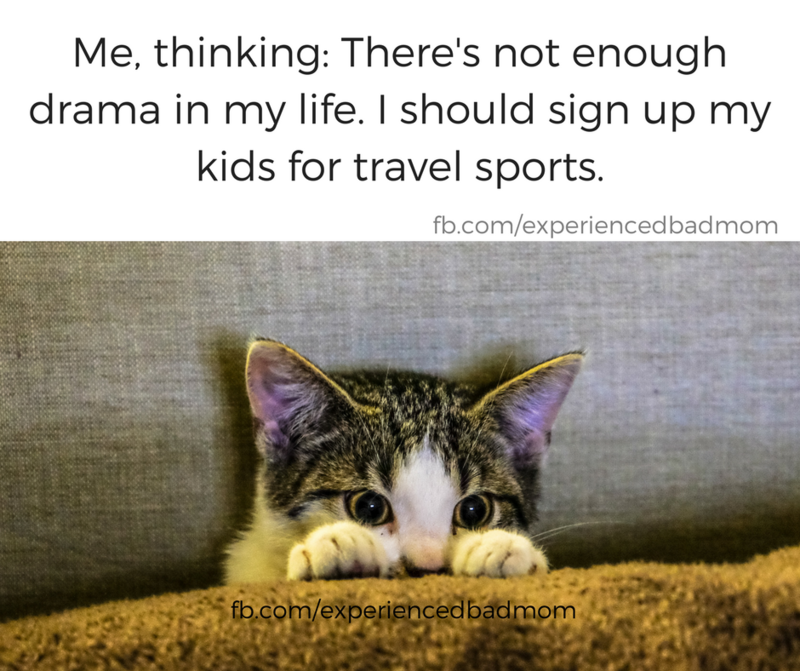 I can almost guarantee you that if the grandkids play sports at all, they will all eventually end up on a travel or select team. Rec leagues are going by the wayside sadly. OMG I’ve got a couple of benchwarmers much to my husband’s dismay. One is showing sporting hope, I’ll just make sure no travel or early mornings are called for. I have to believe the Swedes are more egalitarian about sports than us Yanks. Except maybe for hockey. Or curling. That curling on the Olympics looked a bit intense.